Over 100,000 illegal cigarettes and 100kg of hand rolling tobacco have been seized as part of a campaign between Durham County Council and Durham Constabulary. Acting on information received during the Keep It Out illicit tobacco campaign, trading standards teams raided premises in Newton Aycliffe, Shildon, Fencehouses and Chester-le-Street. 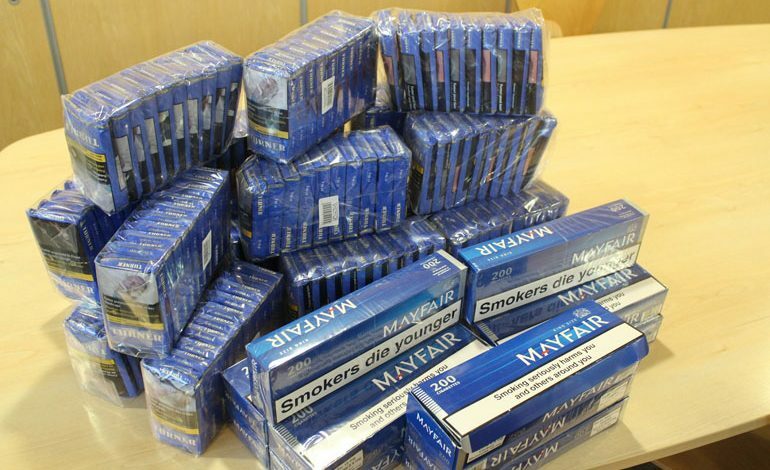 In total 111,580 illegal cigarettes and 116kg of hand rolling tobacco were seized – all of it counterfeit or in breach of other regulations – with their total value estimated to be between £35,000 and £40,000. In addition, over £7,500 in cash was seized as representing the proceeds of crime. Several individuals remain under investigation. Report illegal tobacco sales anonymously by calling 0300 999 0000, or online at www.keep-it-out.co.uk. Need help quitting smoking? Visit www.nhs.uk/smokefree.